I have a Windows 10 pc that loses its drive mapping whenever it is restarted. It connects to a Windows server 2012 r2 server. I believe it may be related t the server as it happened with his last Win 7 machine. Just realized it is all users, when they restart the drive goes away, even if they check, reconnect at signin. This is probably due to Persistence. Open cmd.exe and run NET USE T: /Delete for all T (all drives). Now set up the script or policy so that drives are deleted before they are mapped. This will work. I have and my clients have Windows 10 Pro on Server 2012 R2 and never lose their drive mappings. Create .bat file and add it to startup. In this example we make a e: drive mapping to server financial and folder letters. It isn't everybody, but a group of people that their drives map and it then it goes away. I found some machines that keep it. The share that they connect to, ends in &G so when I try to do it with the net use command I get 'g is not recognized as an internal or external command'. You can experiment with putting the path in quotes. For my experience mapping gone broken is often caused by card readers, if they have one simply disable it. The map never breaks, only when the pc is restarted. 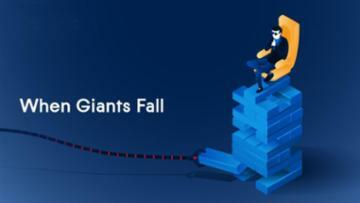 I believe it has something to do with this particular share as they can map to other shares on the same server and they will stay connected upon restarting. This can point to your DNS resolving issue.Before you'll log on computer should get IP address from DHCP so is DNS settings. It looks like computer, in moment log on doesn;t have DNS information and doesn;t know about network configuration that's why is loosing network drives. Double check your event log on server and double check your DHCP configuration. FOr test only you can assign permanent IP address to workstation you have problem with and restart it. Check if computer with static IP will loose network drives. If not, try make your lease in DHCP shorter, let say 8 hours. I'm using is brand new out of the box. Make sure Advanced Network Settings are correct: Private or Work Network, Network Discovery ON, File and Print sharing ON. I tried a static ip and the drive was still gone. Advanced network settings are correct. There is no problem keeping the drive mapping to any other share, just this share in particular. If nothing is wrong, I wonder if the image the manufacturer used is somehow bad. We do not have issues with new computers staying connected. This happens on pcs with different os's and different manufacturers. Im glad your computers are working correctly. Try to delete this share and create it from scratch, then assign same rights to users and groups (share rights and security rights)..
Maybe you have some error in server metadata fields you don't know about. I would also check your server settings if you have so many new computer problems. I can try that when everyone is off (there are 21 people accessing files currently). How could I go about setting up a .bat to add to startup if the net use will not work for this share? The share that they connect to, ends in &G so when I try to do it with the net use command I get 'g is not recognized as an internal or external command'. Patrick had suggested using quotes in the path, how would this work? Instead of manually mapping the drive or a login script. 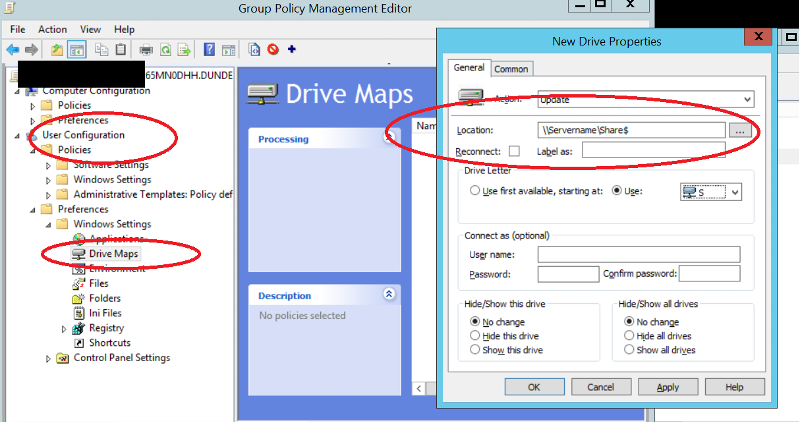 You could try creating a group policy for these users to map the drive. sometimes this is more resilient than a regular map. With GP you can also change the name of the map drive that will appear on windows. So you might be able to test the G& theory.